The name of the Club shall be, “GTO UK”, hereafter referred to as “the Club”. (a) to facilitate an online community of GTO (this includes all variants, GTO from now on) owners and enthusiasts, including a message board and social events. (b) to pay for organisational costs in setting up social events, and subsidise these for paid members where appropriate. (g) Provide Members with assistance, advice and information on matters connected with motoring and motor sport. The name and/or address of the Club shall not be given by any Member as their address for any trade, advertising, business purposes or in connection with any legal proceedings. (b) the resolution proposing such alteration be carried by a majority of those entitled to vote. The Club may be dissolved by a Special General Meeting convened by direction of the Committee, or on the requisition of the majority of the Members. If the resolution of dissolution is duly passed, the Committee may, forthwith, appoint an Auditor to liquidate the affairs of the Club, and if there remains any surplus assets on realisation, these shall be disposed of at the discretion of the Committee. No part of the net earnings of GTO UK shall insure to the benefit, or be distributable to, its Directors, officers, members, or other private persons except that GTO UK shall be authorized to pay reasonable compensation for services rendered and to make payments and distributions in furtherance of the purposes as set forth in Article II hereof. No substantial part of the activities of GTO UK shall be the carrying on of propaganda, or participating in, or intervention in (including the publication or distribution of statements) any political campaign on behalf of any candidate for public office. Overseas member a membership for people that have either been, an associate member or full member, that are no longer UK based, or people that have contributed in a way that the committee, believe has helped the membership or forwarded the club with no voting rights. Members can nominate people for this membership with the committee granting this, on a vote of over two-thirds of the whole committee. Applications for Membership of the Club shall be submitted to the Committee in session by the Secretary, and the election of such candidates shall be at the discretion of the Committee. Membership of the Club shall continue only for the period covered by the current subscription, and Members shall be subject to re-election annually, by the Committee. Any applicant for Membership of the Club shall, on acceptance of their subscription, become a Provisional Member of the Club. Provisional Membership shall only hold good until the next meeting of the Committee after the payment of the subscription of that Provisional Member. A vote of one-third of the entire Committee against an application for Membership shall exclude that applicant from Membership. Annual Membership subscription shall be proposed by the Committee and approved by a majority at the Annual General Meeting. Payment of subscription falls annually and is due on the First of April. Any Member of the Club who has not paid their subscription within two clear months of the date on which it falls due shall be assumed to have resigned from the Club. Any Member ceasing, voluntarily or otherwise, to be a Member of the Club, shall thereafter cease to have any claim upon the property of the Club or to enjoy any of the privileges of Membership, but shall remain liable for the payment of any debts due to the Club. The Committee may elect as Honorary Members any person or persons who have been distinguished in promoting the cause of motoring in general or of the Club in particular, subject to ratification at the next General Meeting. It shall be the duty of the Committee if at any time they shall be of the opinion that the interests of the Club so require, by letter, to invite any Member to withdraw from the Club within a time specified in such letter, and in default of such withdrawal to submit the question of their expulsion to a full meeting of the Committee, to be held within six weeks after the date of such letter. Members of the Committee shall be given seven days notice that a question of withdrawal or expulsion is to be discussed at a meeting of the Committee. The Member whose expulsion is under consideration shall be given at least seven days notice of such a meeting and shall be allowed to offer an explanation of their conduct verbally, or in writing and if two-thirds of the whole Committee shall then vote for his expulsion, they shall at once cease to be a Member of the Club. Every Member binds themselves to abide by the Rules of the Club and also to any modifications made in conformity with the Rules and to accept as final and binding the decision of the Committee in all cases of dispute or disagreement as to the interpretation. Every Member shall have access to the Club Constitution on election to Membership. Any badges, property and/or equipment issued to a Member by or for the Club shall remain the property of the Club. On termination of their Membership, Members shall deliver up such property to the Secretary. The authority and responsibility for the transaction of the business of the Club for its management shall be vested in a Committee, who, in addition to the powers and authorities by these rules expressly conferred on them, may exercise all powers and do all acts in furtherance of the objects for which the Club is established, other than those hereby expressly directed or required to be exercised or done by the Club in General Meeting. 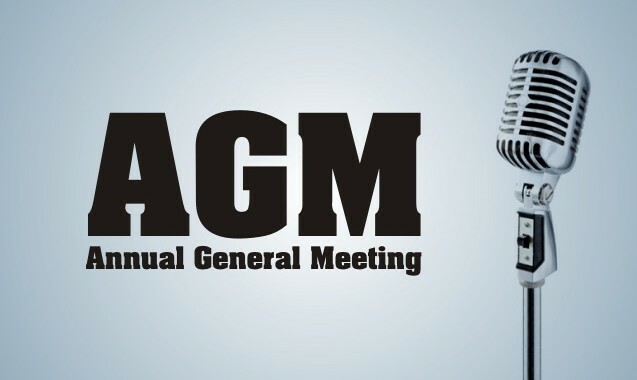 The President and Vice-President/s of the Club and Treasurer, Secretary and Committee shall be elected at the Annual General Meeting, subject to termination at the next Annual General Meeting following their appointment. Membership of the committee, is limited to Club Members that have been signed up for one complete year of membership, The complete year is defined as from 1 April one year to 31 March the next year, partial years do not count. During the period of the previous 12 Months the Prospective Committee Member must have attended at least three national meets with a quorum of the current committee members present. The Three Constitution Roles of Chairman, Treasurer and Sectary are limited to Committee Members that have been on the Committee for the complete year, as defined as from 1 April one Year to 31 March the next year, partial years do not count. During the period of the previous 12 Months the prospective Constitution Role Committee Member must have attended at least Three national meets with a quorum of the current committee members present. Nominations of Candidates for election to the Committee must be received by the Secretary not less than seven days before the Annual General Meeting, with an intimation in writing signed by each Member nominated that they are willing to serve. Nominations of Candidates shall be signed by the Member proposing them. The Committee shall consist of not less than Three and not more than Ten Members, exclusive of the President and Vice-President/s, who shall be ex-officio Members of the Committee. The Committee shall elect from among its Members a Chairman and Vice-Chairman. The Committee shall have the power to co-opt other Members as they deem necessary. The Committee may appoint, from outside the Membership of the Club, an Auditor and/or a Solicitor. The Committee shall have the power to appoint a Sub-Committee of not less than three persons to meet on its behalf in respect of any matter which is specifically referred to the Committee. One quarter of the Members of the Committee shall form a quorum. The Secretary, either of his own accord or by the direction of the Chairman, shall, unless otherwise agreed by all the Committee, give at least seven days notice of the holding of a Committee Meeting. Any Member of the Committee who shall, without sufficient reason, absent themselves from three consecutive Committee Meetings may be assumed to have resigned from the Committee. Each Member present at a meeting of the Committee shall be entitled to exercise one vote. The Chairman shall not vote except in the exercise of a casting vote. The Committee shall vote by ballot if any Member present so demands. The Annual General Meeting of the Club shall be held in the month of April in each year upon a date and at a time to be fixed by the Committee. (e) decide on any resolution which may be duly submitted to the meeting as provided for in these rules. A Special General Meeting may be convened by the direction of the Committee, or by the Secretary on the requisition of at least ten percent of the Members of the Club. When Members wish a matter to be discussed at a General Meeting, the text of that matter, signed by at least two Members, shall be sent to the Secretary at least fourteen days before the date of such meeting so as to be included in the agenda of that meeting. A copy of the agenda shall be sent to each Member at least five days prior to the date of the meeting, but the fact that any Member has not received a copy of the agenda shall not invalidate the proceedings. Business which is not included in the agenda, under the item “Any Other Business” shall not be discussed at the meeting unless every Member present is in favour of the discussion taking place. Every Member with the right to be present may express one vote. The Chairman shall not vote except in the exercise of a casting vote. At all General Meetings, except as provided in sub-section 1.3, a majority of votes decides a resolution. No one can take part in General Meetings unless they have been duly elected as a Member of the Club, and has paid their subscription according to these Rules, except in the case of persons outside the Membership who have been appointed by the Committee to act on the Clubs behalf.